In a sunny November afternoon, I was driving on a very familiar road on my way home and decided to stop by a subdivision near Alpharetta for few minutes. To my surprise, I ran into some unfamiliar “friends”. This subdivision has a large pond built alone the side of its swim, tennis and the club house. I had passed by this neighborhood numerous times in the past and did not have any chance to stop by the pond. I thought it would be nice to check out this lake and to fulfill my curiosity in this “jacketless” autumn day. 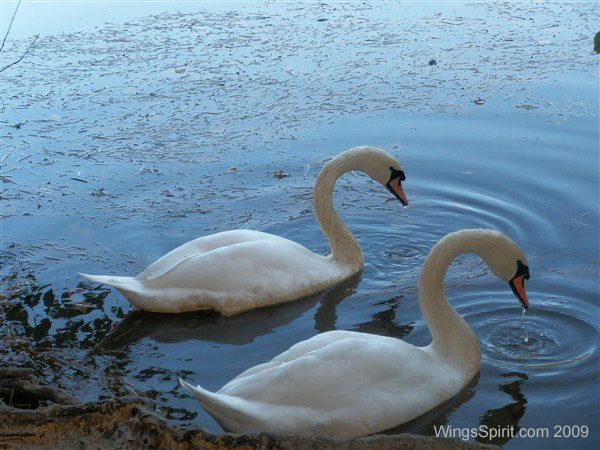 As I drove close to the pond, I saw two large white birds swimming with few Mallards. I was sure they were swans. After parking my car and walking towards down to the bank, swans sped away and I could only see the back of these two birds. I did take few shots of swans but it got dark and the pictures came out to be very poor. Later that day I made a big mistake and learned a good lesson. When I got home and ready to document birds I saw, I mistakenly input those two swans as Tundra Swan on eBird. Within 24 hours, Joel McNeal, an eBird regional reviewer contacted me for this rare find and asked me if I have pictures of this swan. I was very embarrassed and not able to provide him with any identifiable picture. I wanted to go back to the lake to take a better look at those swans if they were still there but the weather for the next few days were nothing nice but ugly. 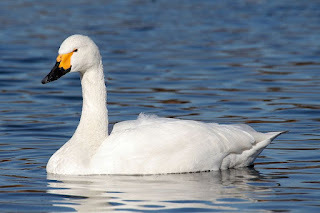 Tundra Swans are extremely rare vagrants in Georgia, and they were only seen few times in the past years. I thought I really got myself into a big trouble and could not sleep or work until I finally solved the mystery four days later. I checked weather channel everyday with desperation and hoped if I could just have 10 minutes of sunshine. On early Thursday afternoon before going to Atlanta Audubon Society for my class, I re-routed to the same lake and prayed very hard. Bingo! They were there! I grabbed my camera and two of my field guide books slowly walked towards them. As I approaching them, the mystery had bothered me for the past four days revealed it to me. They were two Mute Swans! These Mute Swans enjoyed their lunch right by the bank and did not notice if I was there. I did not want to scare them away and quickly took few shots from about 15 feet far. 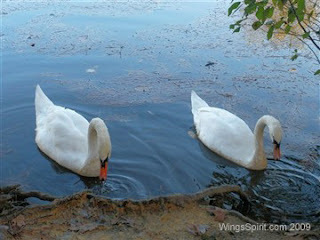 As I was relaxed with few deep breaths, with great satisfaction, I walked even closer to them. They were now about 4 feet away from me and it seemed like they did not care if a human was there at all. I was so amazed and thrilled to see the wildlife right before my eyes and, wondered what these birds eat to grow into such a great beauty. Finally I was able to clear up this confusion as a new birder and also made correction on eBird. 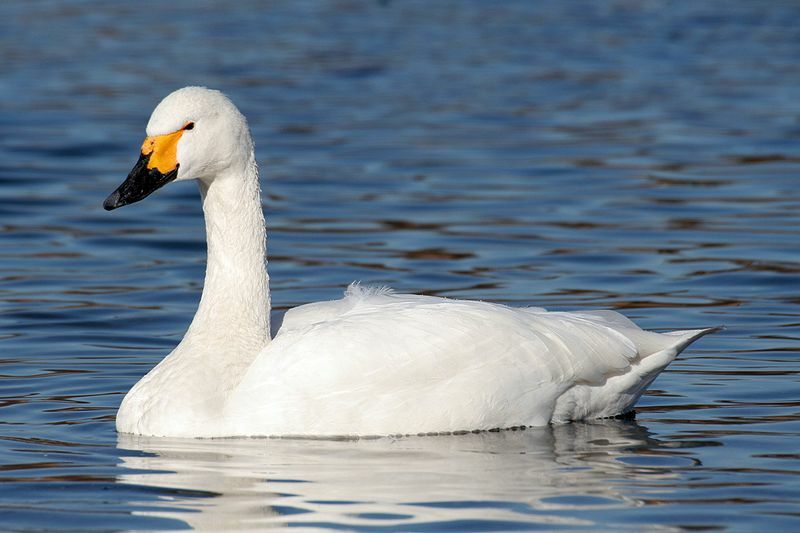 Unfortunately, eBird will not count Mute Swan as a Georgia bird. This less taught me to be accurate and sure to what I input to eBird. Thanks to Joel and all eBird reviewers’ hard work. Click bottom right corner of slide show to see detail of each image. Beautiful photos, Linda!! Thanks for sharing!